Enjoy Fall season on the Cape. Mashpee has multiple shopping opportunities, craft fairs and holiday parades for this Holiday Season. Popponesset is a wonderful family neighborhood where generations have ''summered.'' 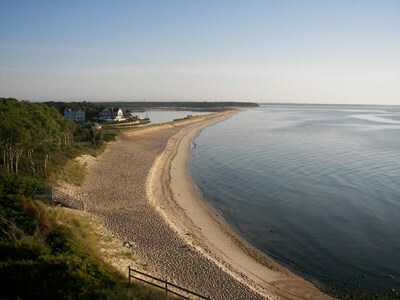 A 4 minute walk brings you to the private beach known as the 'Spit' (a sandy peninsula) with the Popponesset Bay on one side and the ocean(Nantucket Sound) on the other. There is a 6 car parking lot at the beach for licensed fishermen, (not always observed). Parking at Sandy Beach is usually available during the off season to, Mid Sept-mid May). Enjoy marked walking/bike trails surrounding Poppy/New Seabury for family safe biking. 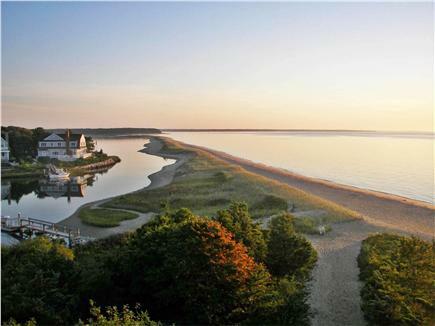 Enjoy Popponesset Beach on the Cape off season, warm days, cool nights, few tourists, warm swimming water and plenty of fishing, shopping and golf! Our 3 bedroom cottage sleeps 7 people.One bedroom has a queen bed, the 2nd bedroom has bunk beds (which many children who have stayed here have enjoyed) - and a mattress under the bottom bunk which can be pulled out for a lucky child, the 3rd bedroom has two twin beds, and has been newly decorated in a beachy style. Enjoy our open floor plan in the living room/kitchen/dining room, with brand new hardwood floors - cathedral ceiling in kitchen/dining room, sky lights in living room and kitchen, which adds brightness to our already sunny home. 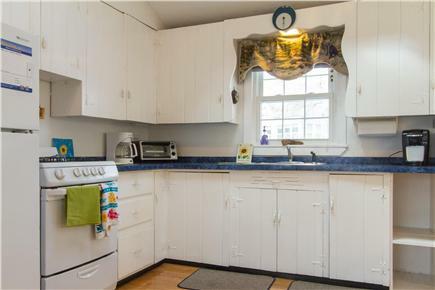 Kitchen has all appliances needed for culinary delight. Rear deck with ample seating and gas grille. Large outdoor shower and picnic table. Enjoy a fire in our outside fire pit. The back yard has a swing set, gas grill, picnic table, boogie boards, outdoor fire pit, and horseshoe pit for outdoor enjoyment. 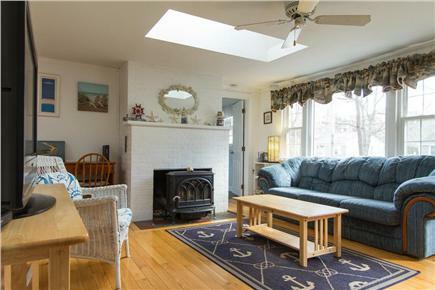 Beach chairs and a Nantucket buggy are available for renters use, and various outdoor toys. We have a tote full of Disney movies and board games for a rainy day. There is an outdoor shower for showering off after a fun day at the beach. Window A/C units available for the 3 bedrooms, plus individual room fans provided. High chair, booster seat,and Pack-n-Play available. Our outside shower is what we consider our half bath! Multiple week rental will get a $100 rebate. We consider pets on a case by case basis. If approved, we will charge and additional security deposit and a higher cleaning fee, if your pet is approved! Golf: There are an abundance of great public access golf courses on this section of the Cape. New Seabury CC, Quashnet CC, Willobend CC. Falmouth CC , Paul Harney's CC all within a 10 minute drive The Spring or Fall seasons are a great time of year to golf on the Cape without the Summer crowd and still enjoy everything else the Cape has to offer. Fishing: Not only can you take just a short walk to the beach for some surf casting, Bonito, Blues and Stripers are coming back in abundance.Fresh water fishing at Deans Pond and Mashpee/Wakeby Lake for big mouth bass and Pickerel! Now BOOKING for Fall 2018, Winter 2018/2019, Spring 2019,SUMMER 2018. Pets considered with notice, higher cleaning fee and security deposit. Booking for Summer 2019, Saturday to Saturday Rental. NOW!!!! Additional availability info: Available daily , weekly, or weekends. Two day minimum, 3 days for holiday weekends. Weekends F/S/S. This is a Saturday to Saturday vacation rental. Additional pricing info: Week days/weekends $275/$300, Cleaning $100. State lodging taxe apply to leases signed after 1/1/19, State and local taxes of 12.45% will apply. Sweetest most welcoming and generous owners ever!! Thank you, Bruce and Norma, for welcoming us into your home. 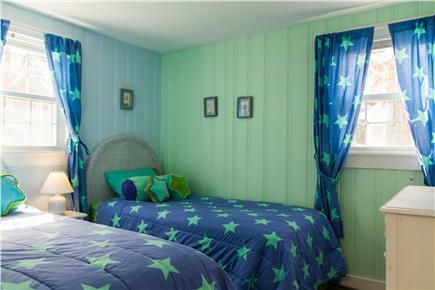 What an adorable beach house you have completely outfitted with everything anyone could ever dream of! My family had the BEST time visiting this past weekend and we can’t thank you enough for your kind generosity! The homemade Quahogs “stuffers” were the BEST we ever had! The pizzas were enjoyed by our non seafood lovers. So kind of you to treat us like royalty! We hope to visit again! My family (2 adults and 2 kids ages 4 and 7) rented this cottage for the week of Thanksgiving. Not only was it impeccably clean, well appointed and sunny, there was a welcome basket waiting for us on the table with personalized shirts for the kids, local goodies and s'mores supplies for the fire pit. Bruce checked in with us in advance to see if we had questions and gave us family friendly recommendations. They were available, professional, respectful and kind. Thanks for the nice review. I'm glad we could accommodate you on your very special weekend. Your new family were great guests! Our famaily loved the cottage. From arrival, Bruce and Norma were great hosts! From an amazing arrival gift basket, to Bruce letting me borrow his clam basket and rake, Bruce and Norma did everything to make our stay in Popponessett a memorable one. 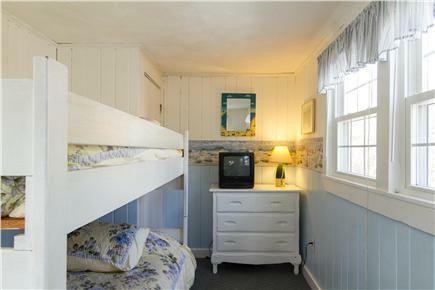 The cottage is well equipped with everything you would need for the perfect beach day! This was so helpful to us as we were coming with a 6-month old and were already short on car space! Thanks for the great review, and we welcome you back anytime!!! Our family had a great week at this home and in the Poppy community! The beach was walking distance away! Poppy Marketplace was such a fun and inviting location to spend time shopping, grabbing a bite to eat and listening to some live music! House is a great size... rooms were plenty big and we loved the AC!!! Could not have lived without. We're glad you enjoyed your stay, and will follow up on a couple of your suggestions. Hope to host you again next year! Norma and Bruce, thank you for making our stay very enjoyable! We were pleasantly surprised with the gracious welcoming gift for the family! The house was spotless and well equipped with all the amenities. The location was perfect for our family. The Spit is a 2 minute walk and the beach cart helped transport all of our beach needs. We are already looking forward to next year's visit to Poppy!! It was nice meeting your family. We're glad you enjoyed our cottage and the Poppy community. We welcome you back anytime! My family enjoyed our stay very much. 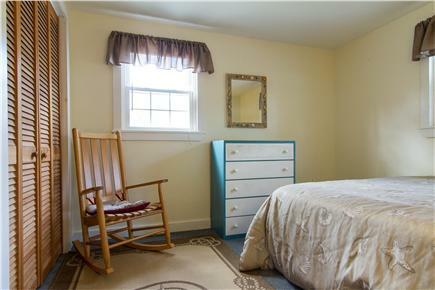 This cottage is clean, great location and the AC in the bedrooms helps with that humid Cape air. We're glad you enjoyed your stay at our Poppy Beach cottage. We hope you consider staying with us again in the future. We went back to this house for the second year in a row and had a great time. The house was clean and comfortable, and our two young children had a great time in the big backyard. We really enjoyed the fire pit once the kids were in bed. Incredible hospitality from Bruce and Norma. 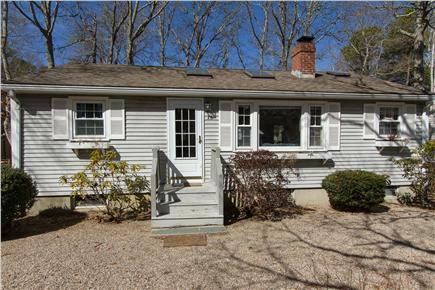 I wouldn't think of looking for another house in Popponesset. I Highly Recommend!! We are so happy you enjoyed our cottage again. Poppy is a special place, and we are fortunate to live here year round. I'm glad you had good weather to enjoy your week. Maybe 2 weeks next year??? Thank you so much. We welcome you back as close family. I have been a Poppy resident since 1960. We bought our cottage in 1989, and I helped raise our family there, summers. My wife Norma and I started renting 4years ago, this being our fifth summer. As you can read from our reviews, many families have enjoyed our cottage each summer. We live close by, behind Deans Pond on Monahansett Rd. We take pride in our cottages appearance, both inside and out. It is a great location for the Community House activities, and going to the beach. Our beach of choice is at the ''Spit''. Inside the spit is Popponesset Bay, outside is Nantucket Sound. It is .3 mile away, an easy 4 minute walk. I am a retired Navy Captain, working on the Steamship Authority ferries as a chief engineer, my wife is a PCA/CNA and has her own cleaning service. We both work locally and have a wide network of connections. 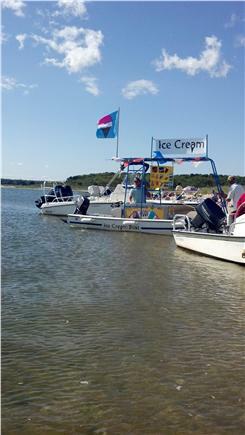 We are into boating, and if weather and schedule permits, we offer our guests a boat ride around Popponesset Bay/Island. Beach, Beach, Beach, with a safe-family friendly neighborhood. Great for walking and bike riding. 15 mph speed limit throughout Poppy Beach. 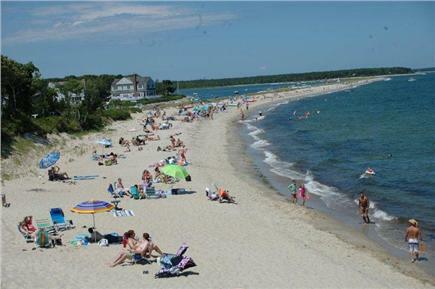 Spit beach 4 minutes away, Poppy Marketplace a ten minute walk, nearest boat ramp-Ockway Bay, a one mile drive, Cape Children's Museum 1.5 miles, Mashpee Commons, 3 miles away. 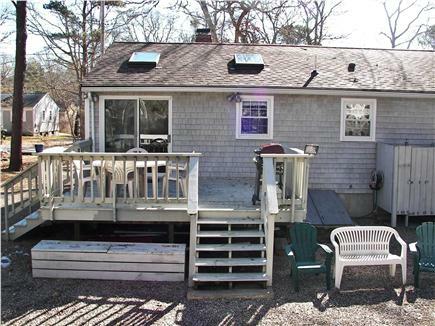 5 Major golf facilities within 5 miles Woods Hole/Hyannis ferry terminals 12/14 miles away.